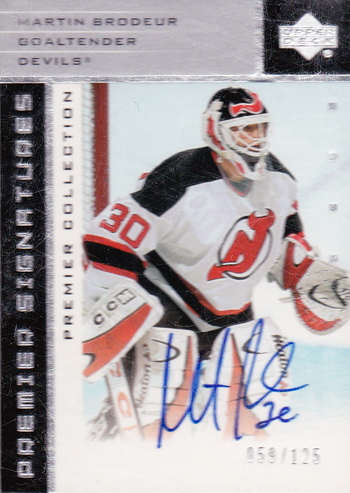 After a rough Game 3, many people (including myself) thought the New Jersey Devils would fold in Game 4 and make a prompt exit from the Stanley Cup Final. 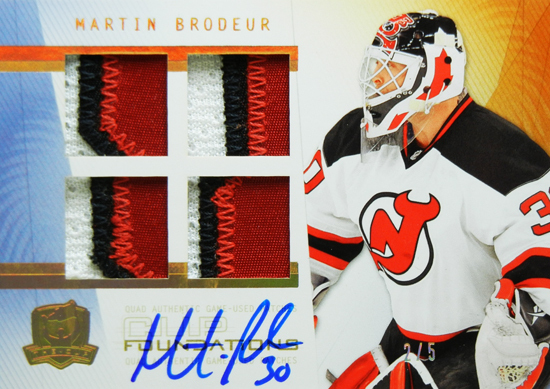 Martin Brodeur had other ideas however proving that at 40 years young, he’s still got the tools and talent to play at the highest level, on the biggest stage in the NHL. 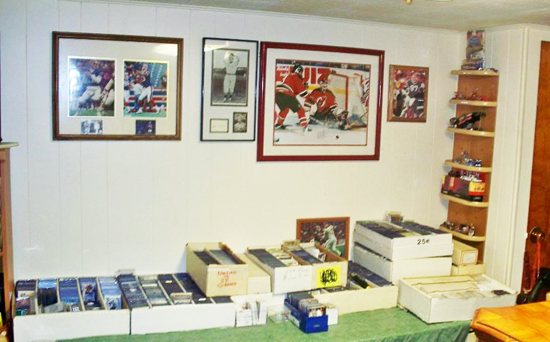 And should we be surprised? 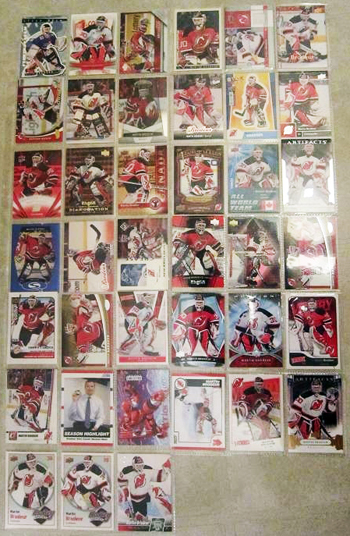 He does have three Stanley Cup victories on his resume and two gold medals as a member of Team Canada. 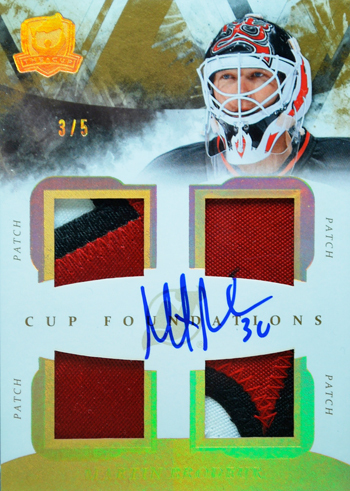 And last night he looked as good as he ever has proving that not only is he not done yet, but if he continues to play like this, they have a chance to become the fourth team in NHL history to come back from a 0-3 deficit in best of seven series. 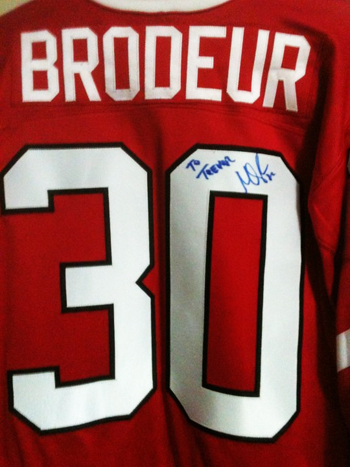 Adam O has a lot of love for Brodeur as a framed photo in his mancave proves! 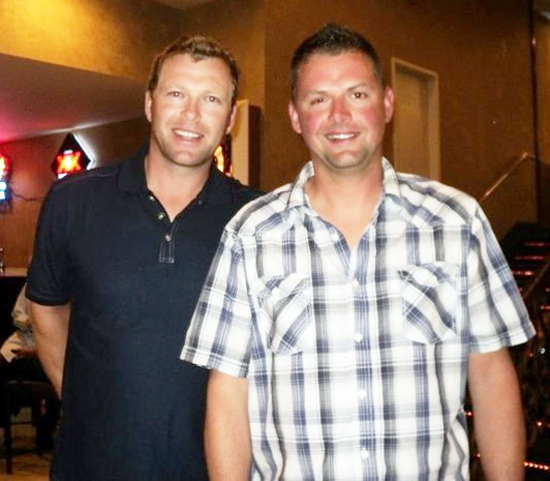 Trevor met his favorite player in Lake Tahoe at a celebrity golf tournament! 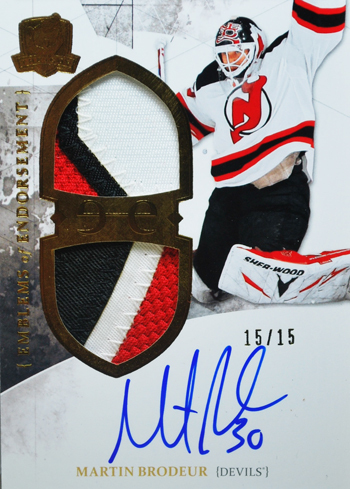 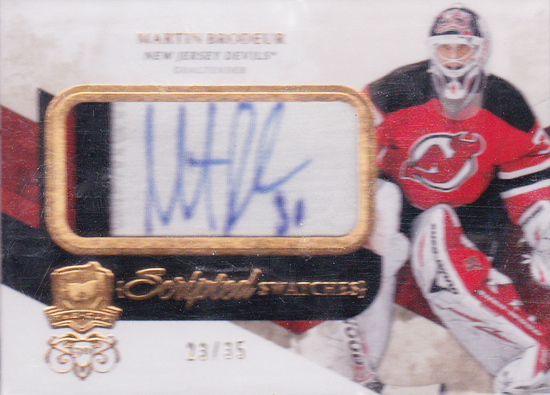 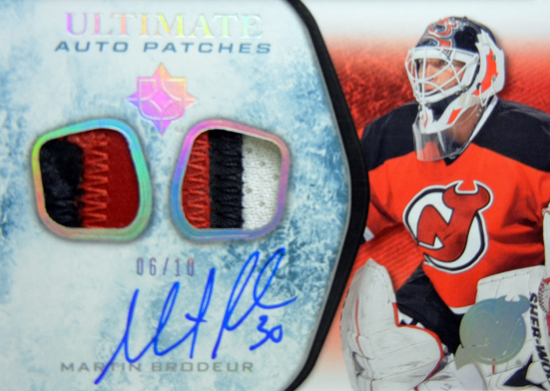 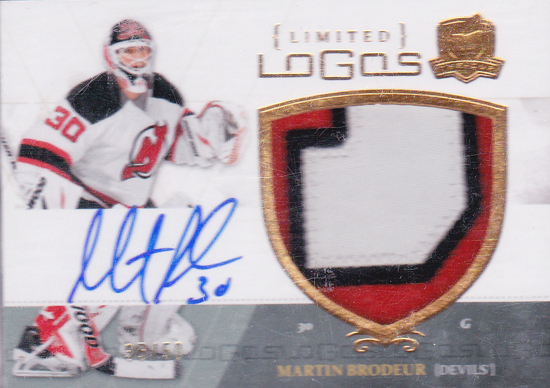 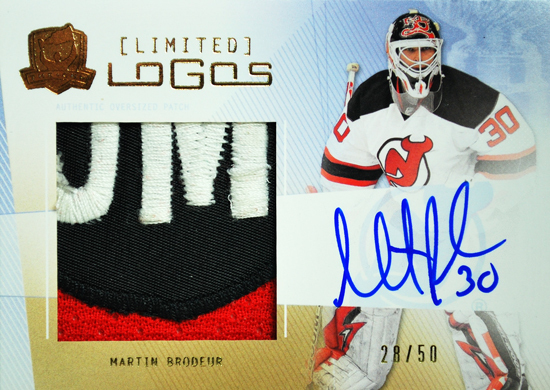 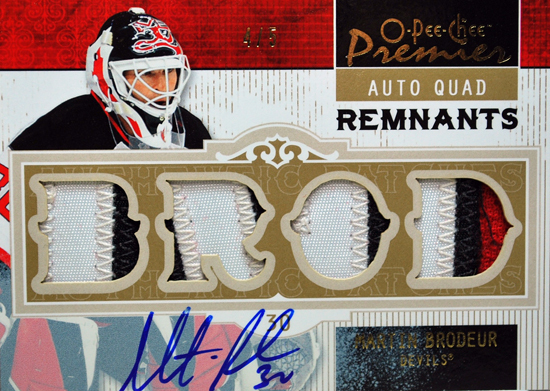 You've got to have a Brodeur jersey in your collection to be considered a real fan. 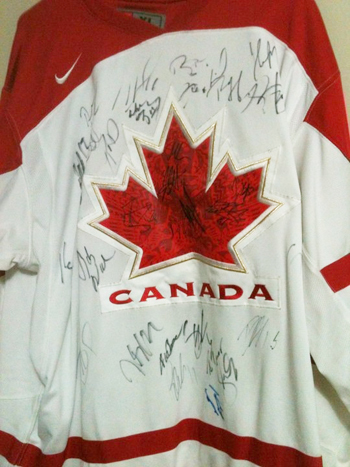 Trevor had Brodeur and several other members of Team Canada's gold medal winning hockey team sign this jersey.